The death of Mona di Orio at the young age of 42 following surgical complications was a tragedy for all who knew and loved her. A part of the perfumed world had suddenly gone dark. I listened to her recently on YouTube, describing in her beautifully enunciated French her apprenticeship with her maître, the mighty Edmond Roudnitska. Her vibrancy and ability to communicate her passion for fragrance, to philsophise and romance the complex and often pretentious world of perfumery will be sorely missed. She was a rare presence in perfumery; sociable, accessible, modern and yet delicately classical. Mona was an obsessive perfectionist applying this ruthless desire for finish and detail to all aspects of her perfumed work. For someone so preoccupied with the concepts of light and chiaroscuro in perfumery, the extinguishing of so bright and sensual a light is particularly poignant. Mona was a direct link to Roudnitska (1905-1996), one of the world’s greatest perfumers, the man who created Diorissimo for Christian Dior in 1956, perhaps the finest example of a white floral ever known. Christian Dior was captivated by the beauty and simplicity of the classic muguet blanc. At his lavish and moving funeral at Saint-Honoré-d’Eylau in 1957 his casket was laden with sprigs of lily of the valley and the church was awash with the extraordinary white scent of them. Mourners were overwhelmed by their perfume. It is Roudnitska’s rendition of muguet blanc, or lily of the valley that will ensure his name will be remembered as one of the true artists and innovators of the fragrance world. Lily of the valley cannot be extracted therefore Roudnitska had to build up layer upon layer to create a painstaking portrait of the flower that captured its beauty, its magical lemony pepper freshness and its almost ethereal shimmering fleetness of presence. It is not just the portrait of a flower, but also its surroundings, a spring dawn, dew and the soft uniqueness of the southern French light. He often referred to it as his ghost flower as he was haunted by his search for its scent. He planted it below his window in Cabris near Grasse as he formulated his masterpiece for Dior. Today’s version of Diorissimo is different as it must be in the light of time moving and reformulation and shifts in taste. The underrated François Demachy has been quietly tweaking the classic Dior scents and sending them back out into to face the world. On the whole they are rather moving, a tribute to times gone by and artistry that will never be seen again. I have been sampling them recently and was very taken with the re-working of Diorama; it smelt astonishing on my skin. I never wear anything like that normally, but all day long I just kept returning over and over again to the crook of my arm. The delicacy of the original was hovering inside a more robust casing of modernity, but it still smelled remarkable. For me however the re-orchestrated Diorissimo has lost a lot of the creaminess and flow of the original. This was inevitable, but in the spaces between the notes, as the fragrance meanders a little from its mission statement of creating the purity of Roudnitska’s Cabris muguet, you can still detect tiny flashes of tremendous beauty and you realise that Demachy is a talented and instinctive chronicler of these archive classics. I had a friend who was always given Diorissimo by her mother for her birthday. She used to moan it was too old for her, yet is always swathed her in a glorious smoky green wrap of clarity and nostalgia. I have a photo of her sitting on a bench sullenly smoking in Benetton cashmere and you can actually smell the tangy white notes and green squeak of soft floral muguet roll out of the frame. Roudnitska also created Eau Sauvage for Dior, a hedione drenched feral citrus that still smells timeless, Eau d’Hermes, Cristalle and the elegiac Le Parfum de Thérèse, a melody of white notes and passion that Roudnitska created especially exclusively for his wife Thérèse Delveaux. He eventually allowed Frédérick Malle to publish it as part of his Perfume Editions. This has allowed the rest of us to experience its poignant personal majesty. Roudnitska was a true master of perfume. He understood the way women wanted to be scented, the relationship of nature to skin, the way we wanted fragrances to work in harmony with our inner heat and desires. Above all, there was glamour and mystery, a sense of another time, an echo of something past, lingering on the skin, dancing to life in the air. Try wearing his elegiac Parfum de Thérèse; I defy anyone not to be moved to smiling sadness by the shimmering accords of jasmine, rose and plum bathed in light and underpinned by Roudnitska’s masterly use of leather and cedar. There is a hint of melon like a steady candle flame beckoning in a window which I love as the scent settles on the skin. To love someone this much and create a masterpiece for her is a startling, Wuthering Heights thing. It never fails to move me. This understanding of scent was instilled in a young Mona di Orio during a sixteen-year apprenticeship alongside Roudnitska in Cabris, learning how to read nature and understand the beauty of great perfumery. She first met him in July 1987 when she was just 16 years old. He told her to wait, study and learn. This rencontre would have an impact on her perfumed psyche and oeuvre that would last until she died. She read and absorbed his influential work L’Esthetique en Question, still an important work in terms of reflecting how we view fragrance. Roudnitska argued that fragrance has a role as art, as a creative force, moulded with aesthetics, capable of moving us like great music, painting and literature. There is also a practical side to bestowing a cultural status on fragrance, protecting by law formulae, bottles and packaging in both niche and mainstream fragrance production. This would essentially help in the battle against fakes and plagiarism that has long been a problem in the fragrance world. Interestingly, in January this year, the French Government, at the behest of the Ministry of Culture and some not so subtle maneuvering by Frederick Mitterrand, has acknowledged perfume as a form of art and a major contribution to French culture. The Société Française des Parfumeurs has been lobbying for this for many years. Five perfumers were inducted as Chevaliers des Arts et des Lettres. Diplomatically they each represented the five big fragrance and flavour companies. They were Daniela Andrier of Givaudan, Françoise Caron of Takasago, Olivier Cresp of Firmenich (and brother of Françoise Caron…), Maurice Roucel of Symrise and Dominique Ropion of IFF. There is a lot of symbolism and some tokenism is the selection. However the recognition of perfumery as art must not be underestimated. It subtly enhances the industry with a veil of stylised power that did not exist before. Something Edmond Roudnitska has been fighting for all of his perfumed life. It was touching that his son Michel, was present at the ceremony, as a perfumer in his own right and taking pictures of the important day. So this deeply argued and passionate belief in perfumery as art was installed in Mona Di Orio very early on in her apprenticeship with Roudnitska. 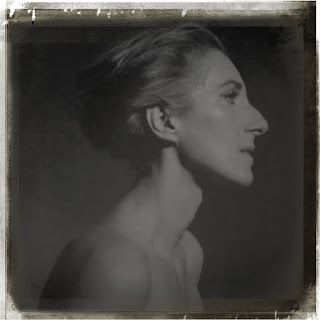 She would have been exposed to his aesthetic rigours as she studied alongside him for 15 years in Cabris, near Grasse, the spiritual heartland of French fragrance. Surrounded and profoundly influenced by nature and above all the beautiful natural light of the South, Mona learnt her craft from one of the true aestheticians of the perfume world. 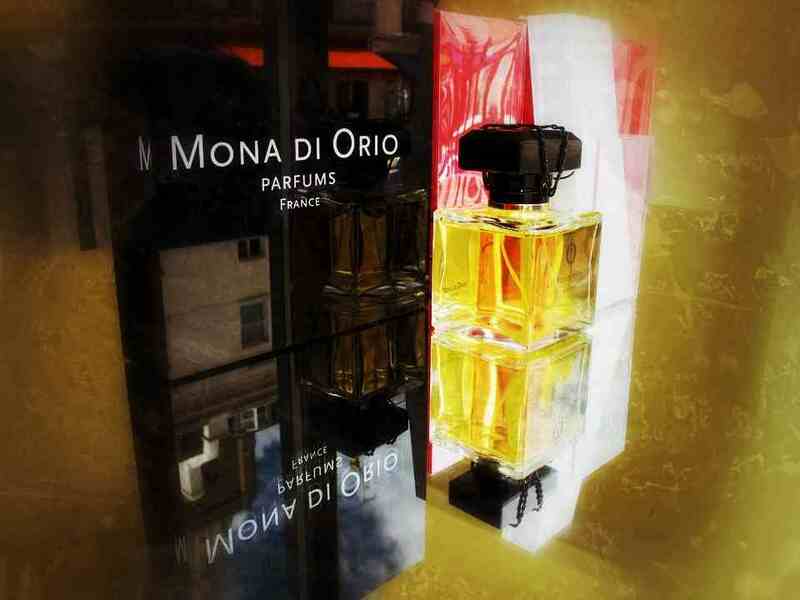 Mona’s perfumed oeuvre was formed by a search for balance and perfection. This again was inculcated in her by the rigour of her training with Roudnitska. A lot of contemporary perfume training involves reverse engineering, students studying what is in existing scents and attempting to deconstruct or unravel the twist and turn of notes. Roudnitska did things a little differently, he would set Mona an exercise where she would pick a flower from the extensive parkland surrounding Cabris and analyse it. She was however expected to describe the essence, the soul of the natural flower. This unique and deeply connective approach is more akin to life drawing, compelling a more detailed and scrutinising examination of the subject. I watched a documentary recently on Lucien Freud. While not his biggest fan, it is true his portraiture is incredibly compelling and seems to reveal truths about the sitters that are buried beneath the surface. A lot of his work is uncomfortable and full on, however there is now denying the power and flayed honesty in his work. Mona di Orio had trained as an art student and would have understood this detailed and scrupulous approach to studying a flower or scented source. She carried this delicate and precise attention to detail into her own work and you can see in it for example in her passion for jasmine and its indolic magnificence and her later robustly sensual and feral rendition of oud. Her perfumes have both delicacy and robustness of line, and examine the interplay of notes and the all-important movement to drydown. There is poignancy, character and above all truthfulness. This is in part Di Orio’s talent and personality shining through her work but also the spirit of her master, Roudnitska, guiding her hand and her heart. It is hard to entirely shake off the imprint of a maître. Arguably Di Orio never really reached dizzying heights as a perfumer and certainly never produced anything to rival Roudnitska’s classic creations. This was in her future and her Nombres D’Or Collection was an indication of even more beautiful things to come.